We offer an extensive range of high quality brass dops. 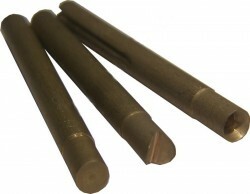 Our range of CNC machined dops are manufactured from solid brass with a precision turned .250 shank. We use a corrosion resistant brass alloy to avoid pitting and wear patterns that can occur with less expensive aluminum.